Dinner and a movie with friends is the perfect end to an eventful weekend. 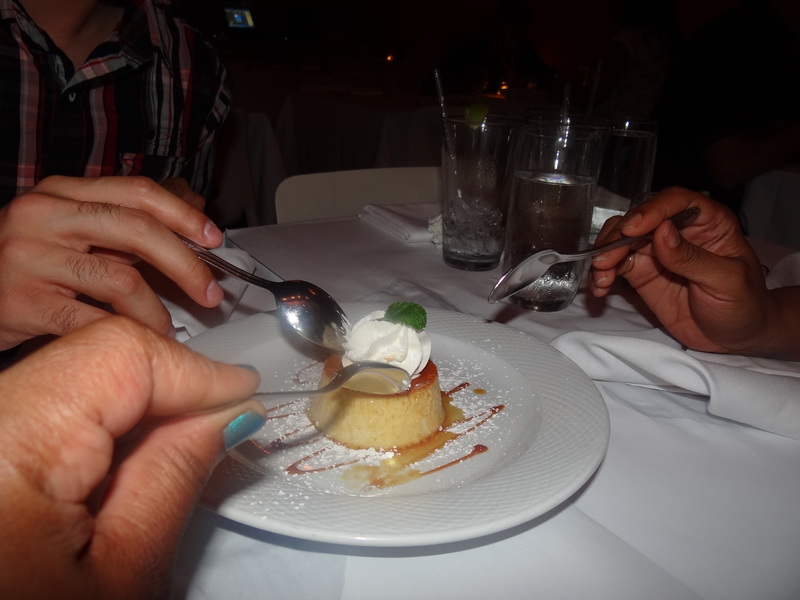 We saw the latest X-Men movie and had dinner at Sazon – a Puerto Rican restaurant in Tribeca. Being raised in the Bronx, I grew up among a lot of Puerto Ricans. Celia was my favorite neighbor. She lived on the 6th floor of the building I lived in with my parents. Celia made the best Puerto Rican food I ever tasted – Arroz con gandules and pernil that would make you want to slap your madre…lol! Not a lot of restaurants can rival good home cooking. I can’t compare Sazon’s food to the delicious Puerto Rican food I grew up eating at Celia’s house because it definitely isn’t the same. A lot of cultural restaurant menu’s lose their authenticity to cater to all patrons. They complicate the menu to attract a specific crowd. Sazon’s food is good food. But the extra twist that’s added for the Tribeca market can be a disappointment to those that are looking for true Puerto Rican food. Sazon is a fun restaurant. I loved my experience there. It is a restaurant I would frequent. The food is mouth-watering. The crowd varies in age and ethnicities. There is a cute lounge on the lower level with walls decorated in quotes by Soho artist, James De La Vega. Sazon is the sister restaurant of the popular Sofrito. I recommend Sazon to anyone who is looking to enjoy enticing Puerto Rican food while listening to great music. Categories: Caribbean/Caribe, Food Wine and Spirits, Miss Metropolitan Junkie, Miss MJ xoxo, Urban Aristocrats, What's Hot in N.Y.C.